Ever since I picked up an HTC Vive, I’ve been doing a lot of demonstrations for friends. 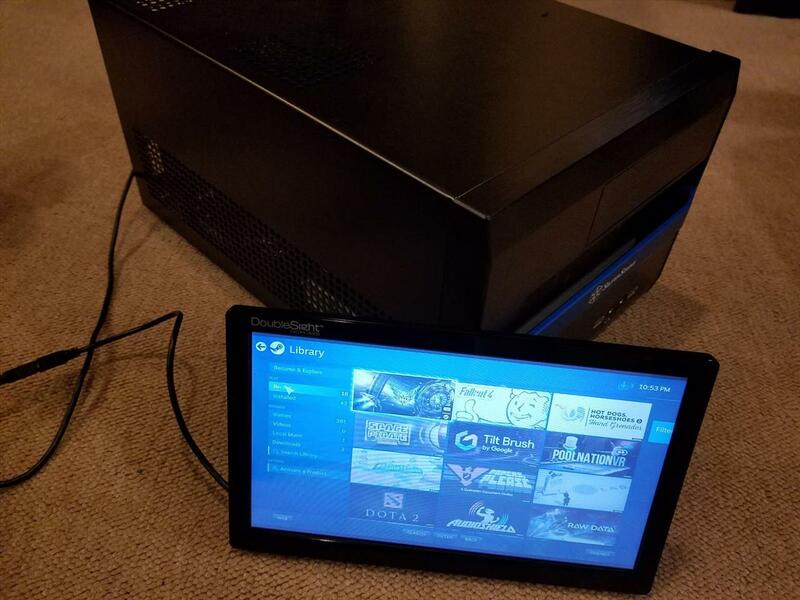 Lugging around my big gaming computer can get pretty tiring so I wanted to build a portable LAN box for both showing off the HTC Vive and for LAN parties. 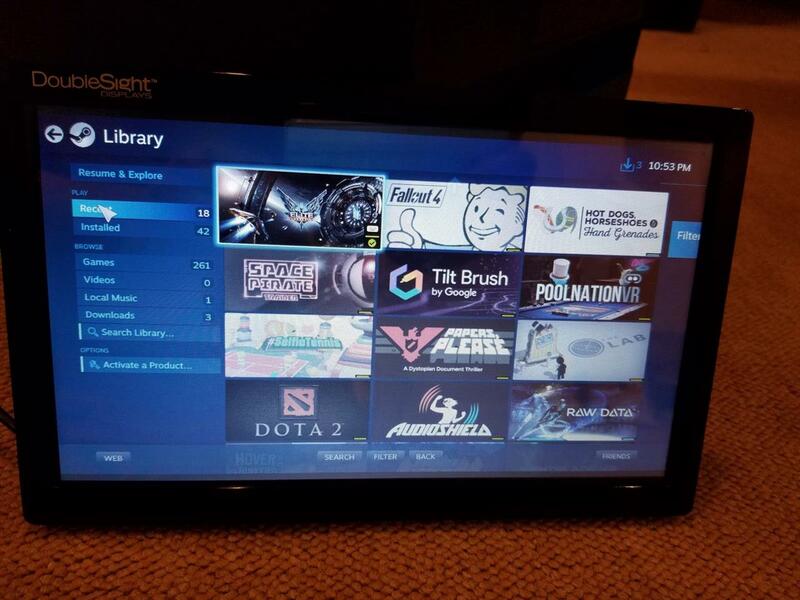 I had a few features that I wanted in mind for a portable gaming computer. The case had to be easily transportable, so a solid built handle is a must. It also had to accommodate a full sized graphics card and allow for a full size power supply without being too big. 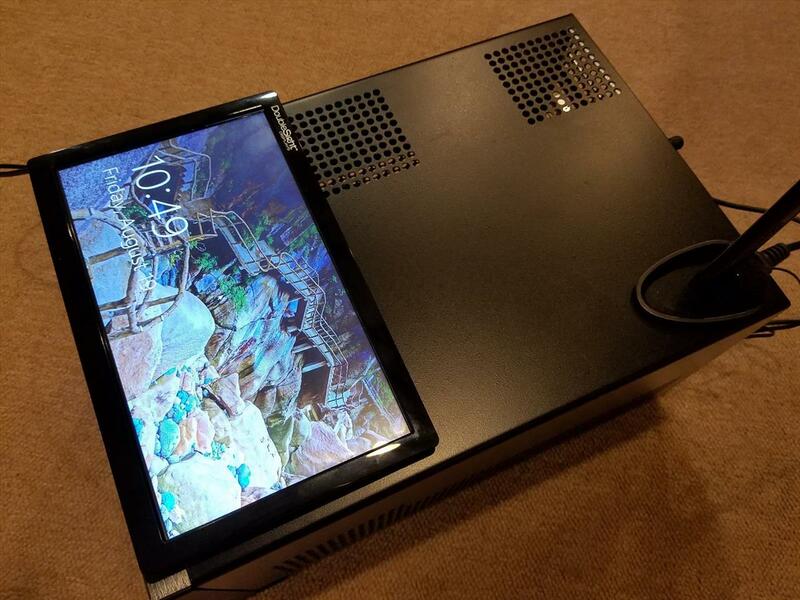 Another feature I wanted was a way for the setup to hold a 10” touch screen monitor powered through USB so I wouldn’t have to carry along a mouse and keyboard if I didn’t want to. I’d have the machine fire up Steam Big Picture mode on boot and be ready to go with VR mode set. So with those things in mind, I set out to find the components needed to make my portable HTC Vive LANbox. First up was the processor. I had a spare Intel i7 laying around so that was naturally what I was going to use. 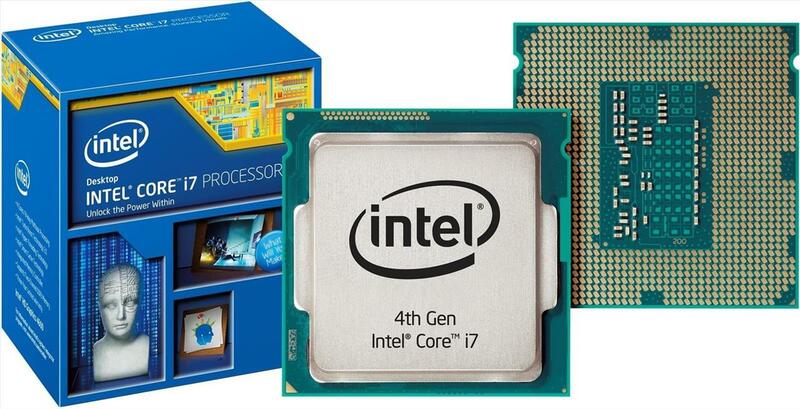 A 3.5Ghz socket 1150 CPU, this was what I had in my main machine until I get the i7-6770K Skylake a year ago. With the upgrade, I had this one laying around, which is more than enough for VR games. Now, I just needed to put this into a small, portable package. The motherboard I will be getting has 2 DDR3 slots so I picked up two sticks of 8GB DDR3 ram from Crucial at my local Microcenter. I might opt for more if I decide to also turn this little box into a portable development box as well. But for now, 16GB of ram will be more than enough. 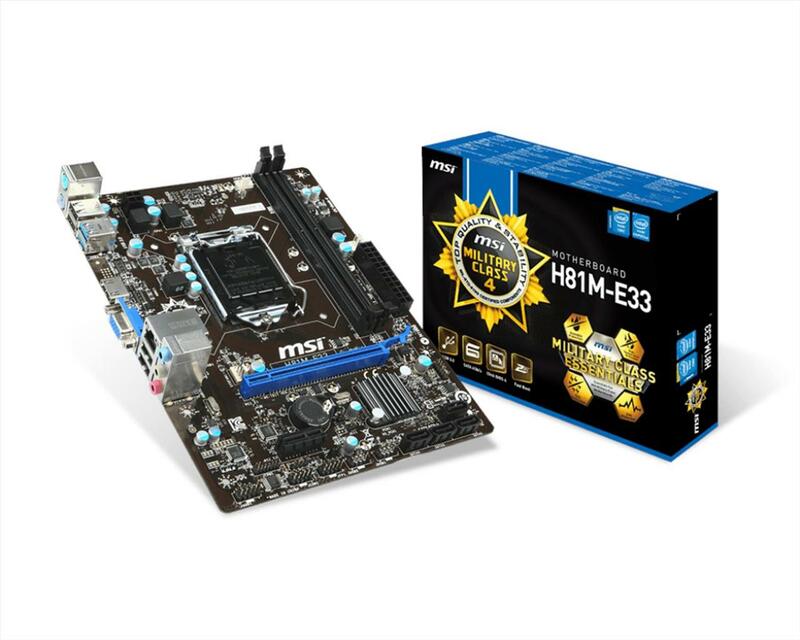 I needed a mini-ITX motherboard and while I could have gone with one with built in Wifi, I decided I wanted a separate Wifi card, which tends to be more reliable for me over an internal solution. 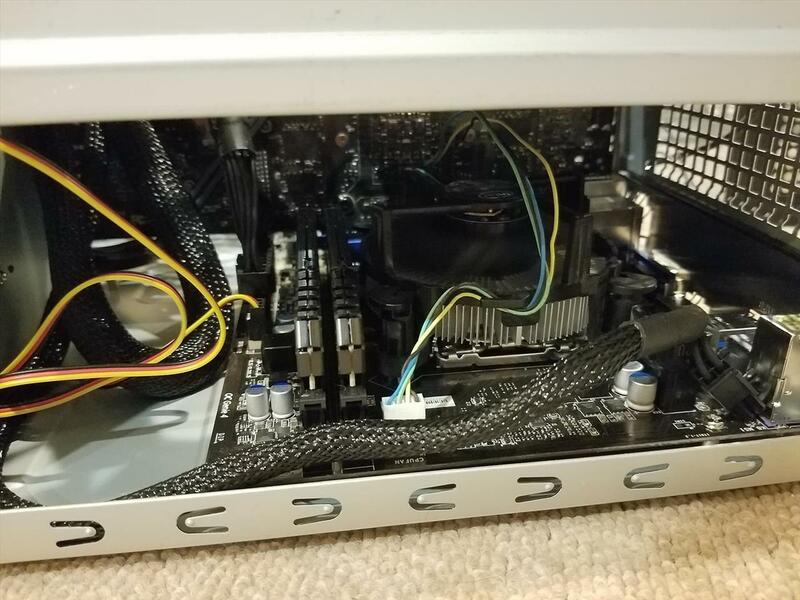 The one thing I didn’t like about this motherboard was it didn’t have USB 3.0 connectors for the front panel so I had to grab a convertor cable to attach the front panel connections. 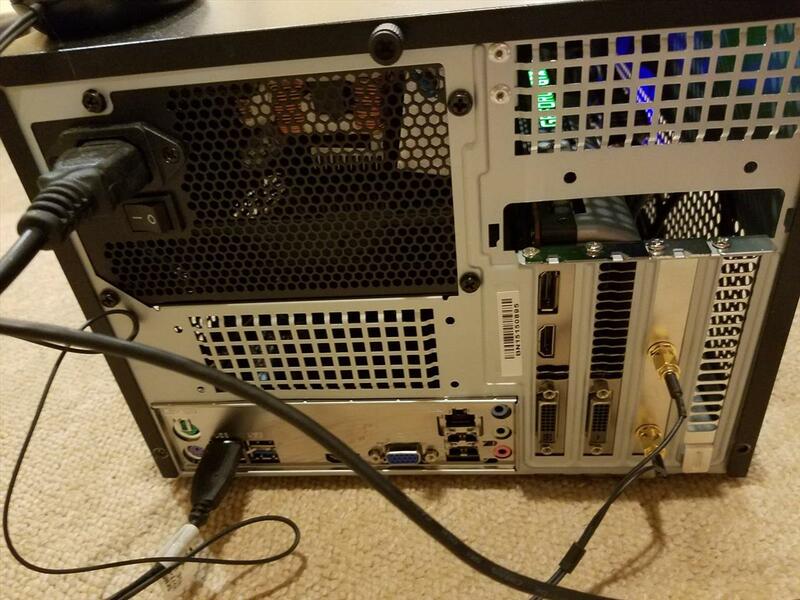 Other than that, it has enough SATA ports and USB ports needed for a portable Vive box. You’ll definitely want the most powerful card you can get if you’re running VR games. The GeForce GTX 980 is my current high end card as I’m still waiting on picking up a GeForce GTX 1080. With the ability to put in a full sized card in the SG12, you’ve got a variety of cards that you can use in the system. The GeForce GTX 980 allows me to play most VR games at high settings, but I can’t turn on supersampling much. As a portable demo box that’s not my main gaming machine, the GeForce GT 980 is a nice secondary card to use in this machine. 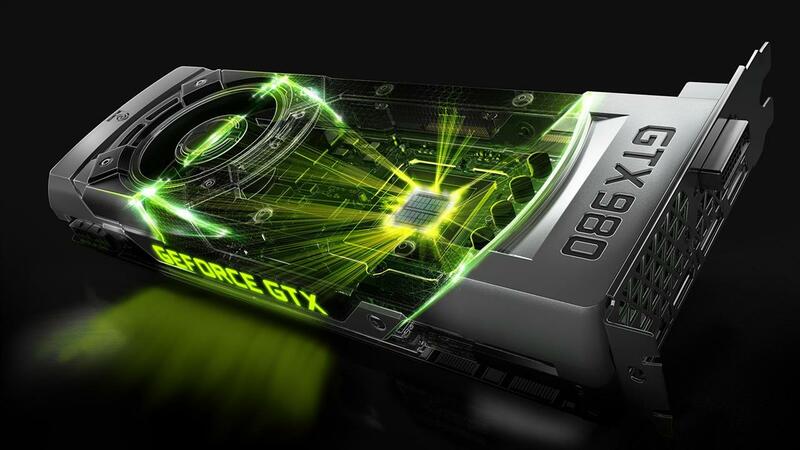 If I didn’t have this as a spare, the GeForce GT 1060 would have been my top choice. Amazon had a very nice deal during my build with the 480GB ADATA SSD going for $108. 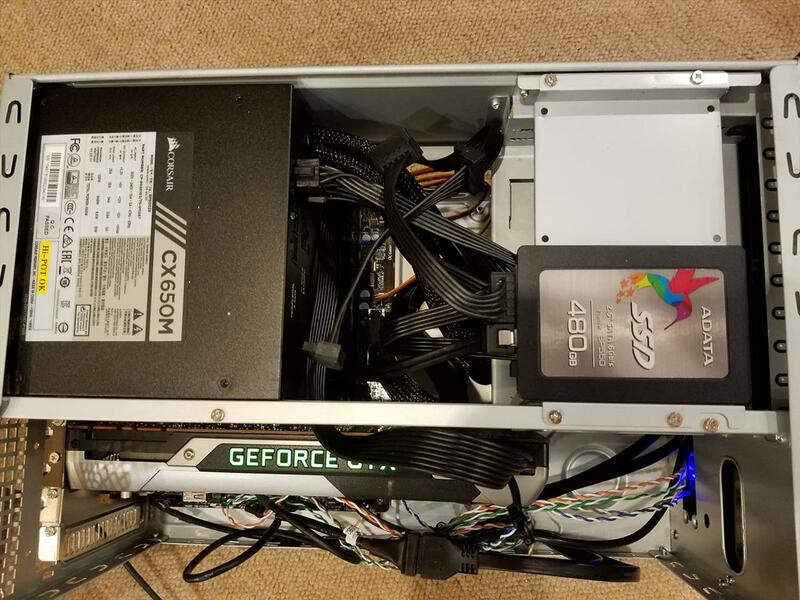 I thought about going for a small SSD as a boot drive and then a larger one to hold all my games and applications, but I wanted to keep it simple initially. The ADATA SP50 480GB has enough room to hold plenty of VR games, since a lot of them tend to be small. 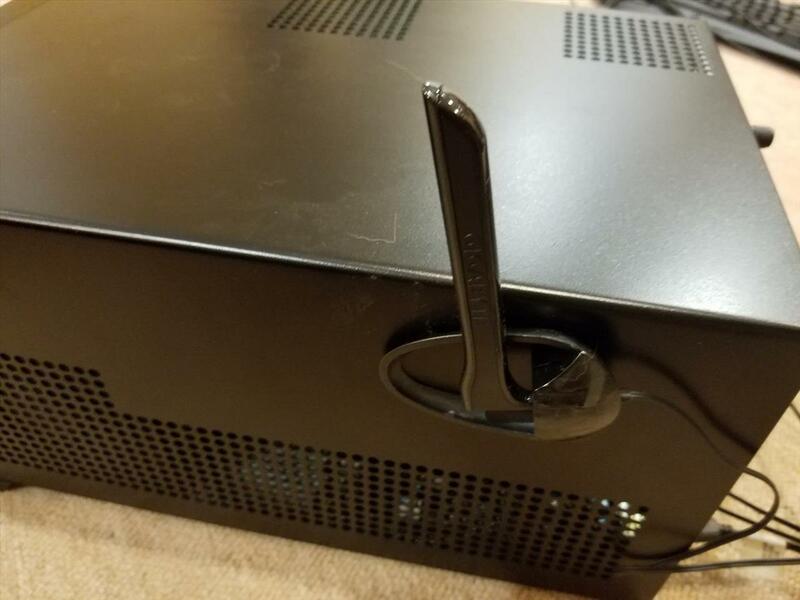 This case has a very solid front handle and enough space inside to hold a full size video card and a full sized power supply. 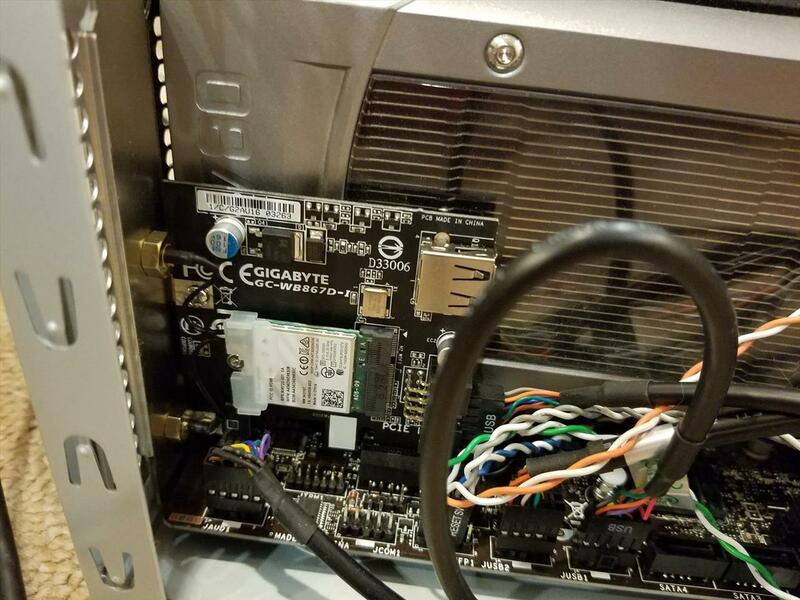 A dual video card slot can be put in here leaving one PCI-e slot for my WiFi card. 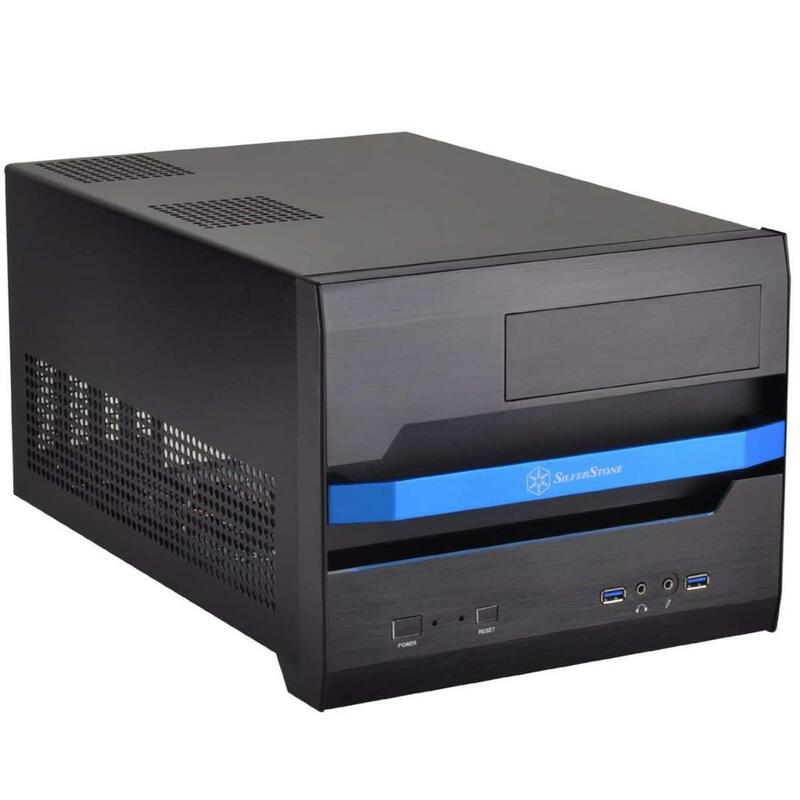 Fitting a mATX or mini-ITX motherboard, this case also features front USB 3.0 ports and can house a full size optical drive, if you still use one of those. 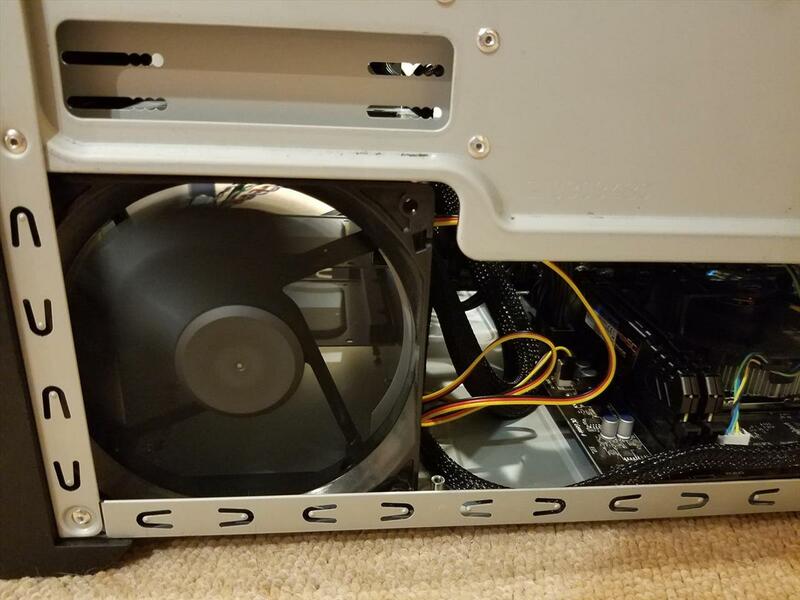 There was enough space to use the default heatsink and fan, but there are some nice low profile ones out there that you can substitute in here as well. It weighs 12.2 lbs without anything installed and after all I put into it, it wasn’t that heavy to lug around with one arm. Wanting to keep as little of the cables needed inside the case, I opted for a modular power supply. 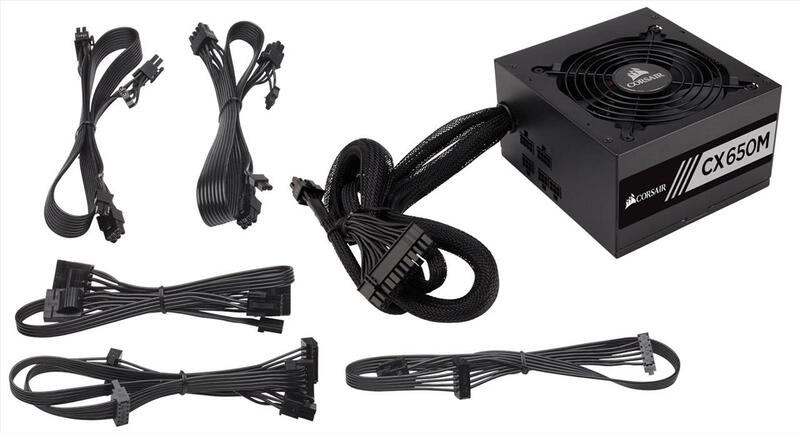 Corsair power supplies have always been good for me and I found a nice deal at my local Microcenter on a 650W modular variant. It’s bronze certified and it’s also extremely quiet, which is great for wanting a quiet machine. This is a combo 802.11ac WIFI and Bluetooth 4.2 card so it’s got the best of both worlds. Not every place that I go to will have easy access to an Ethernet line, so a WiFi card was a must. 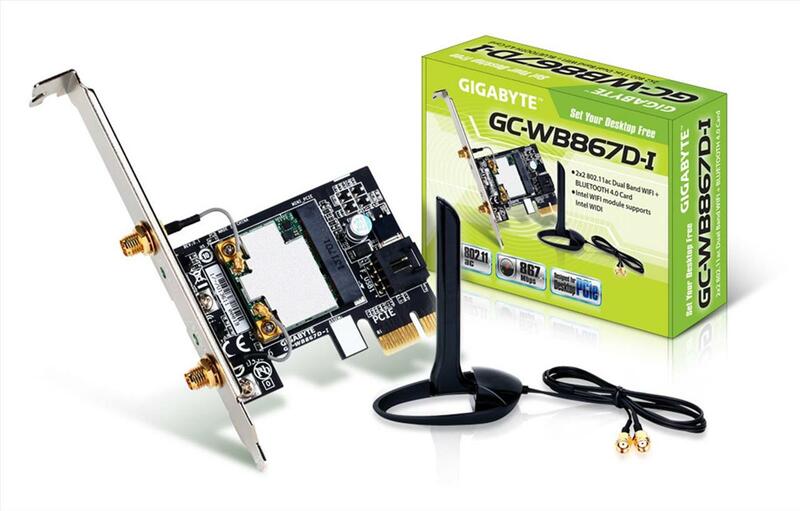 The GC-WB867D-I lets me connect to the latest wireless-ac routers as well as pair my machine up with any Bluetooth devices such as mice, keyboards, and headphones. Here was the one thing I searched long and hard for. I wanted a small LCD screen, no bigger than 10” that had touch capabilities. 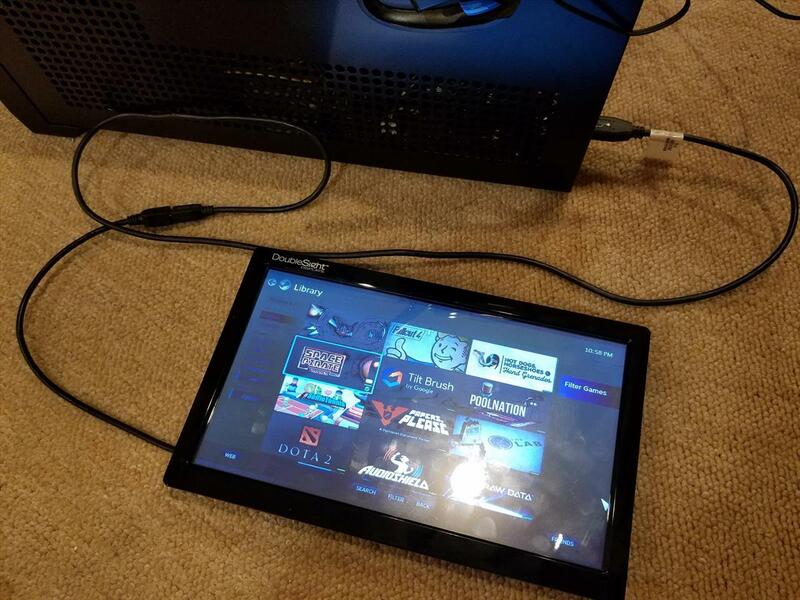 I was tired of bringing my gaming monitor with me and it wasn’t like a good monitor was crucial when running the HTC Vive. DoubleSight’s DS-10UT fit the bill perfectly. 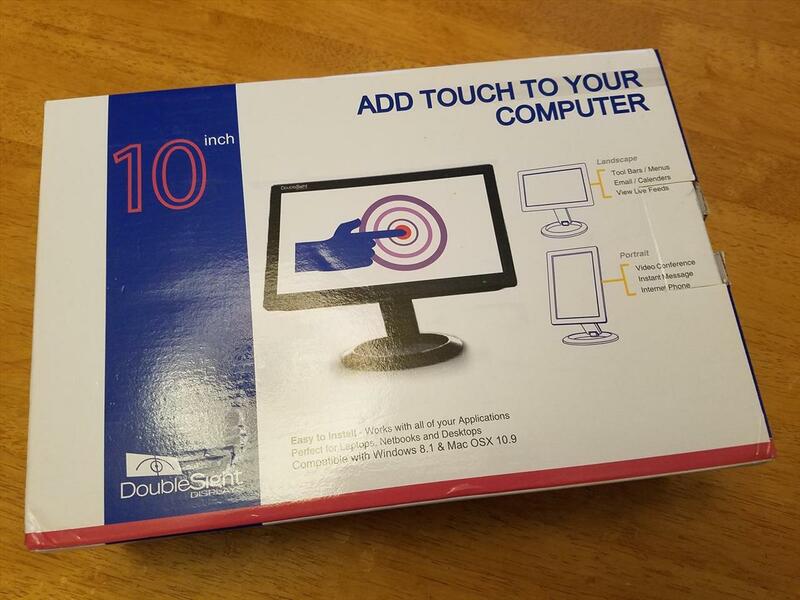 It’s a USB touchscreen monitor that works with Windows. 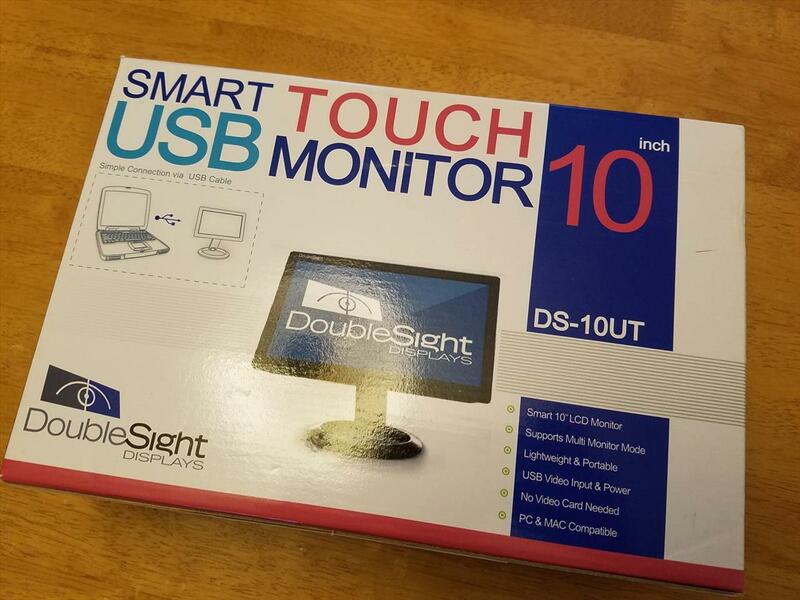 The resistive touchscreen monitor comes with a USB cable with two plugs. After installing some drivers and calibrating the DS-10UT, I unplugged my main monitor and rebooted the computer with just the DS-10UT connected. To my pleasant surprise, the Windows login screen came up on the DS-10UT and I was able to bring up the onscreen keyboard to login by typing on the screen. The touchscreen mimics a mouse rather than working like a native touchscreen display, but that’s OK. I was able to drag, select, and interact with whatever Ui element I needed in Steam. It did take a little effort to click on things at the edge of the screen. But for displaying Steam, doing some selection of games to start, and seeing what was happening on the Vive, the DS-10UT passed with flying colors. What I did find was I was able to use a single USB plug and still have the monitor work. It didn’t work with all USB cables I had, but some cables allowed me to just have one single USB port taken up by the DS-10UT, which made me even more happy about the monitor. 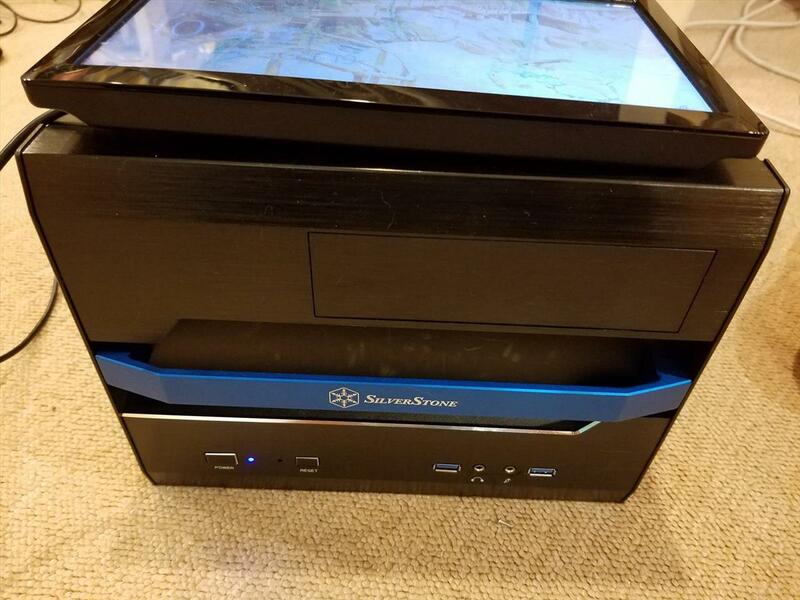 While I currently use a small monitor stand to keep it upright (it does come with a small stand that attaches to the monitor as well), my goal is to have a way to hang it on the side or top of the Silverstone and be able to take it off and stand it up if need be. 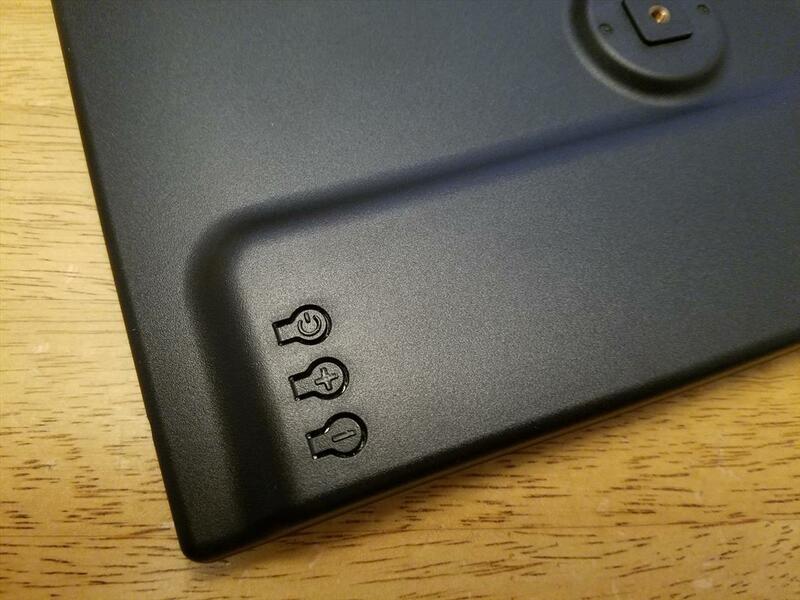 I have a few ideas that are similar to using 3M Command hooks to hang lids, but I’ll have to do a few more experiments. 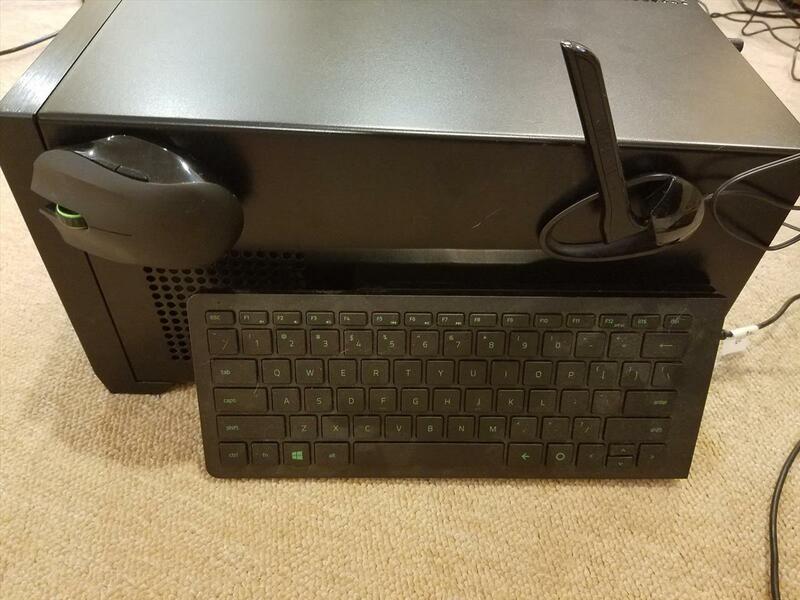 For those time I do need a mouse and/or keyboard, and those times are extremely rare, the Razer Turret is a perfect portable solution. 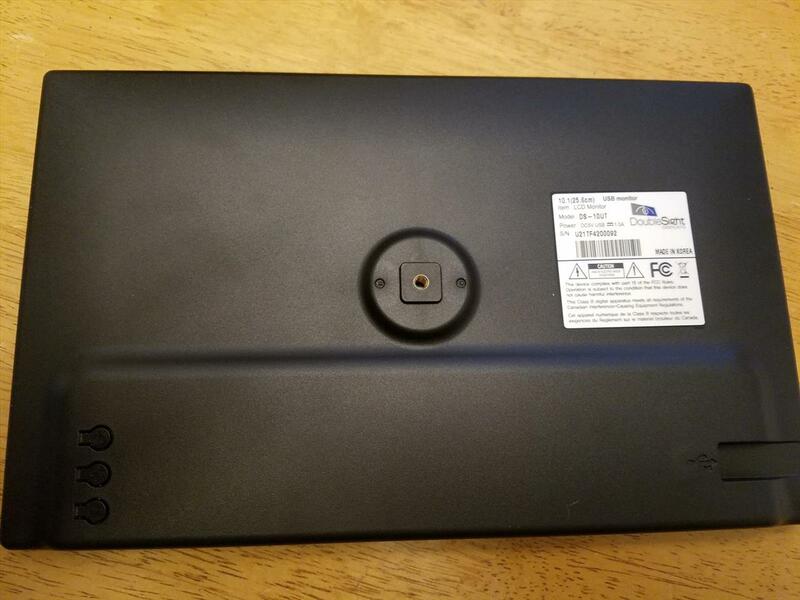 It’s a small wireless lapboard setup that works both with Bluetooth and has a wireless USB dongle if your computer doesn’t have Bluetooth. The setup is small, lightweight, compact, and can last a long time on battery power. Another option would be to install software to allow for you to use your Android phone to act as a mouse/keyboard. Something which I’ll look into as I think that would eliminate another item in my bag to carry. 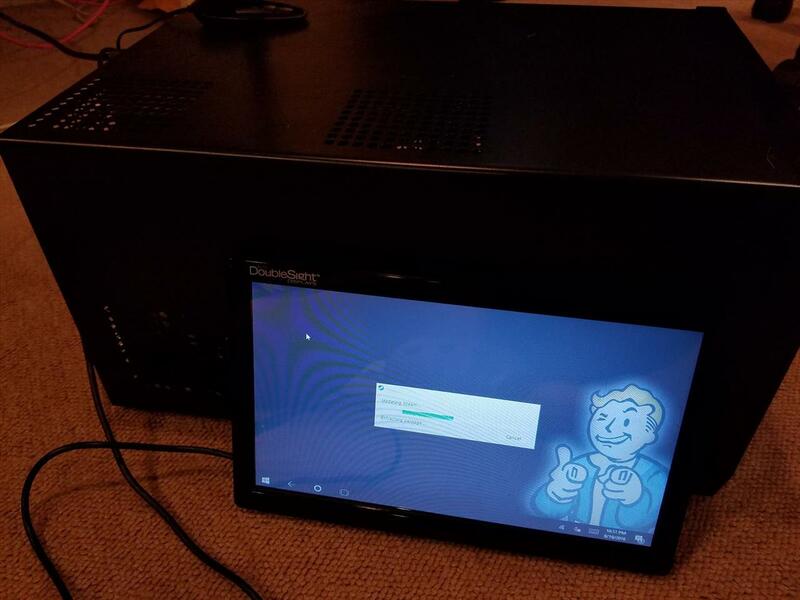 After putting it all together and installing Windows 10, Steam, and all my VR games, I found the entire setup to be compact, quiet, and easily portable. 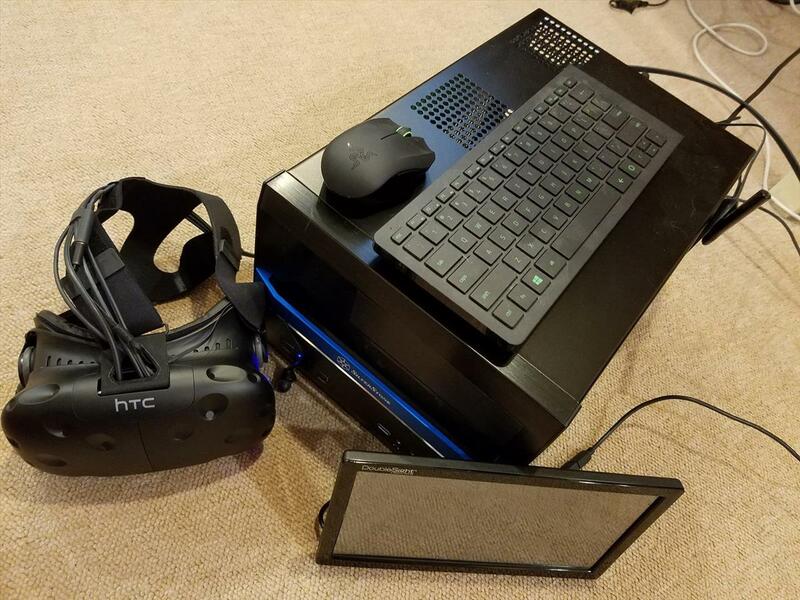 It reduced the amount of things for me to carry to a small padded bag with all the HTC Vive components, the computer, a power cable, the USB touchscreen monitor, and the optional Razer Turret. That’s it. The PC is powerful enough to play all the latest games. I had no problems running any VR game, but as I said before, I didn't do any supersampling. Turning down a few features in Elite Dangerous made it playable and any non-VR games was also no problem with my 1080p monitors. DoubleSight’s DS-10UT lets me login and control everything by touching the screen and it’s just one simple USB connection to get it working. Talk about a nice portable display option. 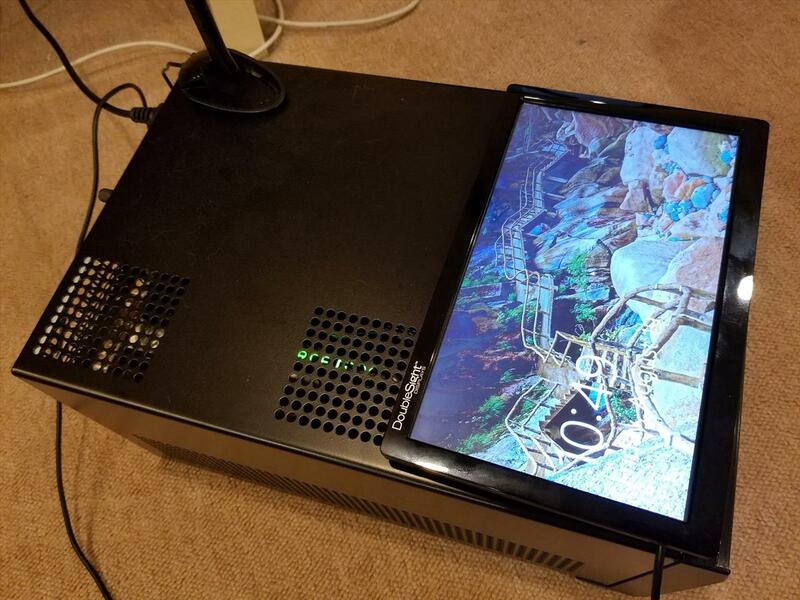 And, those times when I do want to game at a LAN party, this will be a lot nicer to transport than my full sized rig, but that would also entail including my monitor, keyboard, and mouse. The DS-10UT, while very nice for being small and lightweight, wouldn’t hold up well to gaming. I did play Paper’s Please on it without any issues though, using the touchscreen to interact with the game. But, for something like Battlefield or Call of Duty, a full size gaming monitor is your best bet. I do have a separate setup for playing racing and flight games so when not in use, this will be connected to a Logitech G27 Racing Wheel and a Saitek X52 Flight Control System for the times I want to play either Euro Truck Simulator, Project Cars or Elite Dangerous in VR. All told, I was very pleased with everything in this build. Heck, I might even start making my main machine a mini-ITX build with the Silverstone SG12 as it’s got more than enough room for the components I use. 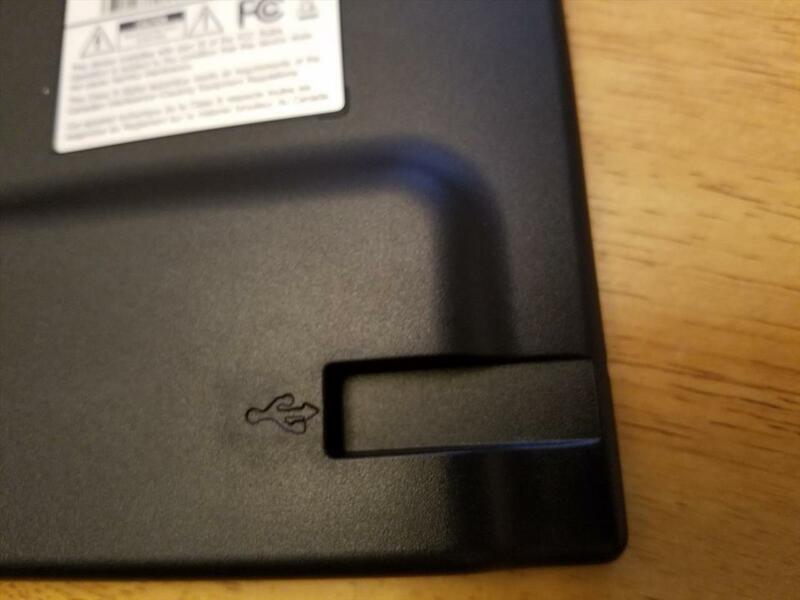 In the future, this will be my baseline for a portable LAN/Vive box and I’ll continue to update this little guy as better parts come rolling in. 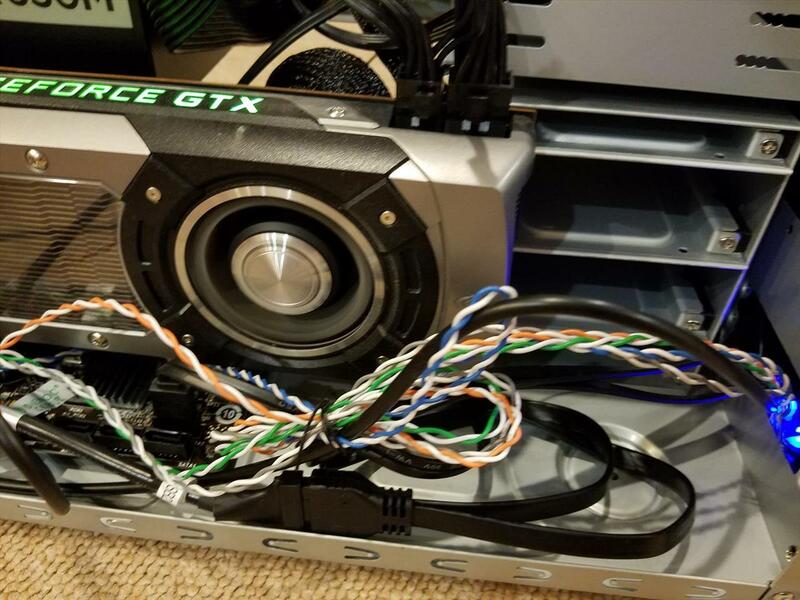 A big thanks to NVIDIA for the GeForce GTX 980 that I reviewed two years ago, to DoubleSight for providing a DS-10UT for this build, and to Razer for the Turret I reviewed a month ago. They really helped out in getting this build up and running and I would highly recommend them as well.